Match.com is renowned as the pioneer of the online dating industry with over 22 years’ experience of matching up suitable eligible singles. Today, they serve millions of satisfied members across 24 countries. One such country is Canada whereby, Match.ca is the number one dating site for singles seeking love, fulfillment and long-term commitment within Canada. With match.ca, members are responsible for their love lives and potential mates. Signing up on the platform is FREE for all. When you first sign up you will be prompted to provide some basic personal information such as your gender, the gender of your preferred match, zip code. In the next window, you’ll have to provide your postal code, email address, and choose a password for future log in. 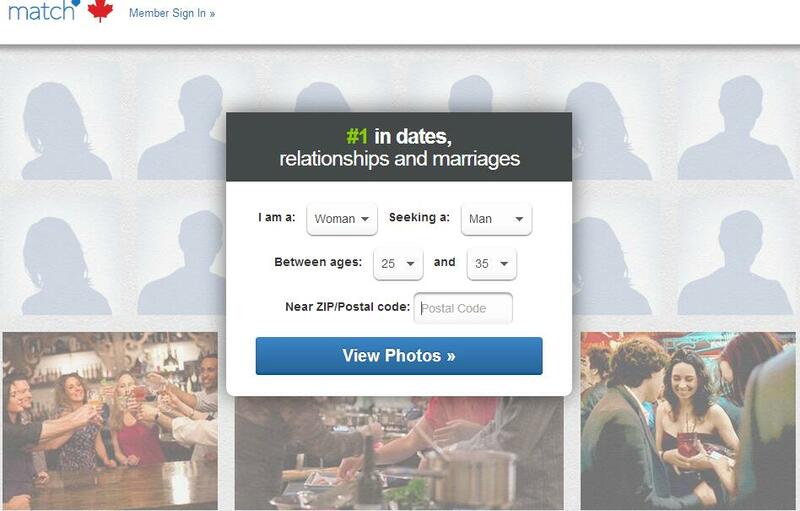 Another key requirement is your date of birth, this is important because match.ca matches member based on age range. Thereafter, you’ll provide a suitable username and you are good to go. The steps involved in profile creation include providing some personal information about your height, body type, relationship status, parental status, education level, social habits, ethnicity, financial status, interests and hobbies, and characteristics of your preferred match. As with every other dating platform the LAST step when creating a profile on match.ca is providing some little information about yourself and uploading/importing photos. Communication is an integral part of every relationship; as such, match.ca has strived to provide their members with unrivaled messaging features that ease communication among members. Finding love or establishing a relationship on your own can prove a challenge, especially if you are the shy type. To remedy this, match.ca provides members with the option of receiving daily compatible matches straight to your email. Match believes and even goes to the extent of guaranteeing their members that they will find someone special at Match. To achieve this, they have developed a program termed “I met someone GUARANTEE” which assures members that they shall find love within six months’ failure to which they will grant a six-month membership extension for FREE. If you are not the type that enjoys writing about yourself, then don’t shy away. This feature enables such members get access to professional online dating site ghostwriters commonly referred to as Profile Pros. This feature enables such members to stand out from the crowd, attract and create a great first impression through their professional profiles. This service is available to members for a small fee. In collaboration with Chemistry.com, Match provides its members with a chance to take a personality test that helps them determine the best life partner for them. Privacy is of utmost importance, especially for users of online dating sites. This is because you share your personal and confidential information, including sensitive data such as actual identity, geolocation information and visual content. With all its benefits, using match.ca is fairly complex. As a beginner, signing up on the platform is a challenge, as you must opt in first by signing up. That means that as a new member you won’t be able to preview the site without actually signing up on the platform. On the other hand, navigation through the site might be a challenge for some, especially those that are less tech-savvy. If you are residing in Canada and you are on the lookout for a date, short/long-term relationship or marriage commitment, then match.ca is the right fit for you. With match.ca, you get a large pool of eligible singles that are ready to mingle with a suitable match. i would like to join in this group.